Welcome to the first BISMA e-newsletter. 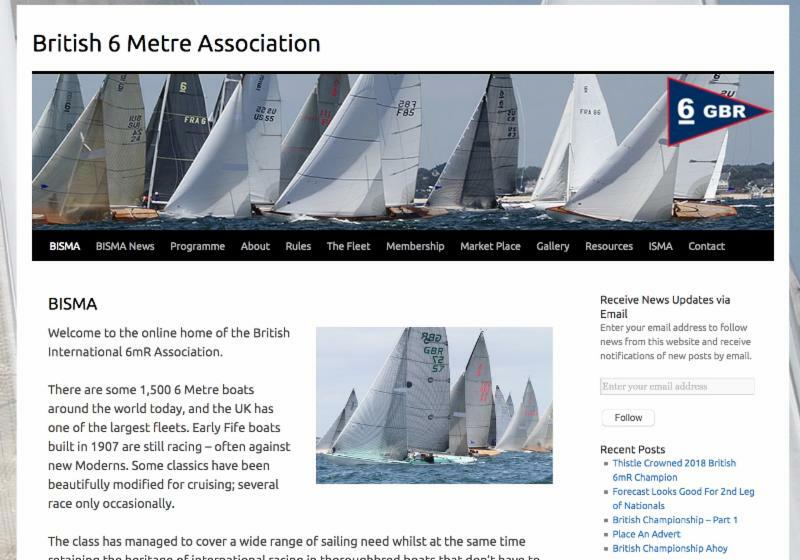 This is a new initiative to keep you abreast of what is happening in the UK 6 Metre fleet. Fiona Brown, Tom Owen and Violeta have been working hard to raise the profile of our PR. Our website has been revamped and we plan to also have regular e-newsletters to keep you informed on what is about to happen and that which has happened. Please take a look at the new website and do let us have your feedback. We will really need your input too. So please don't hold back if you think you have something to share which might be interesting to others. Photos, a few lines and any little snippets to Fiona would be very much welcome. We're just back from a terrific week in Cowes racing at Panerai British Classic Week and we'll have a full report, photos and even some video on this at www.6mr.org.uk shortly. Plus we have more great sailing ahead so I very much look forward to seeing you on the water soon. We are delighted to announce the launch of our new website at www.6mr.org.uk. The site will be regularly updated by editor Fiona Brown, who is always on the hunt for stories. Please email her on fiona.brown@fionbrown.com with any news, photos, videos or info you would like to share with us. 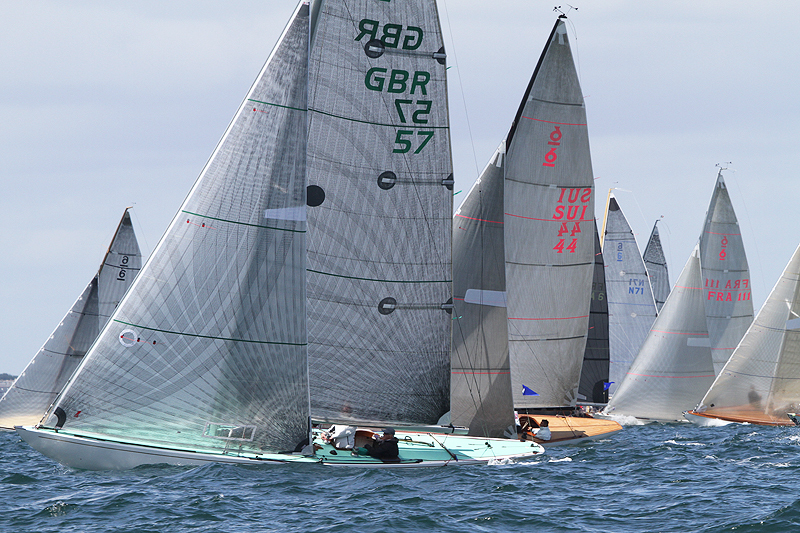 The weekends of 3/4 and 15/6 June saw the fleet assemble at the Royal Yacht Squadron, Cowes for a two leg British Championship featuring three days of terrific sailing in a wide range of conditions. Alongside great racing the fleet enjoyed great camaraderie with the added bonus of sharing the events with the 8mRs, which added greatly to the enjoyment for all. The opening weekend brought champagne sailing all the way. Saturday's conditions were a little more boisterous with the wind gradually building through the day to a 20 knot sea breeze in the afternoon. Sunday was a lighter affair with a somewhat shifty breeze which never made it above 10 knots and gave the tacticians and navigators plenty to think about as they worked to find the breeze and stay out of the tide. 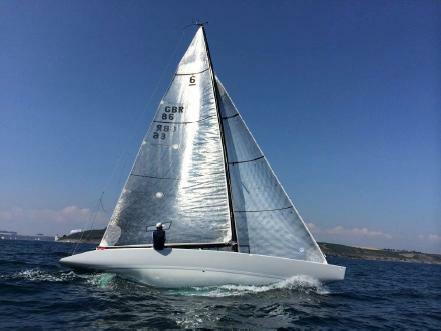 Robin Richardson's St Kitts was boat of the weekend with four straight bullets, but behind her Thistle, Valdai and Nancy were battling it out for the remaining podium places in a series of spectacular three way dog fights. 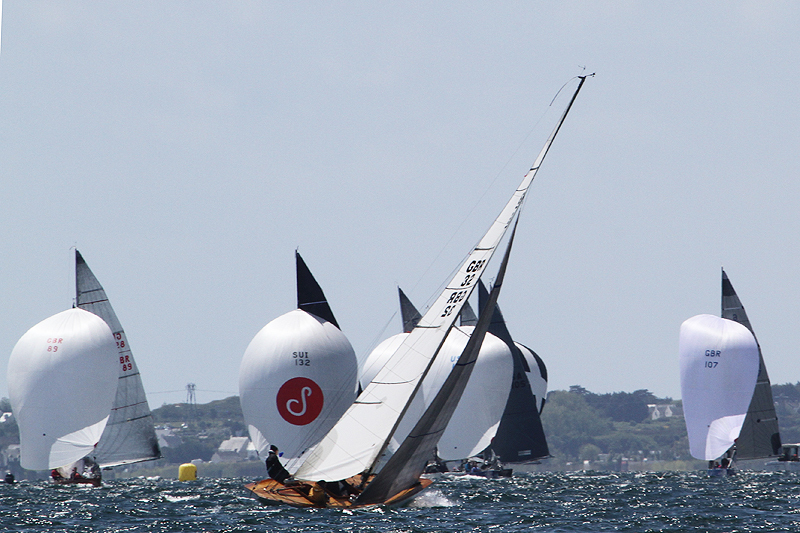 Ultimately Robert Owen's Valdai ended the first leg in second place overall by a single point from Tom Richardson's Thistle. Andy Short's Nancy took fourth with David Roberts' Melita fifth. The second weekend couldn't have been more different with winds gusting up to 35 knots and big seas on the Saturday making cancellation of racing for the day the only sensible decision. Sunday was still breezy at 16-25 knots, but the race officer was able to take the fleet into the relative shelter of Osborne Bay and produce two lovely if rather lively races. The forecast had caused St Kitts to pull out of the regatta, but Thistle, Valdai, Nancy and Melita determinedly came out to do battle. For Melita the battle didn't last long however, as a broken vang fitting forced her to retire from race five of the series leaving Thistle, Nancy and Valdai to vie for the title. What they lacked in numbers they more than made up for in determination and two fantastically close and physically very demanding races ensued. The strong breeze made for plenty of thrills and spills as well as a few interesting gear and boat handling issues. But these experience crews overcame them all with Thistle taking race five from Nancy with Valdai third. The sixth and final race of the series was sailed in 21-25 knots and it was Nancy who headed the fleet at the top of the first beat, from where she defended superbly for the remainder of the race. 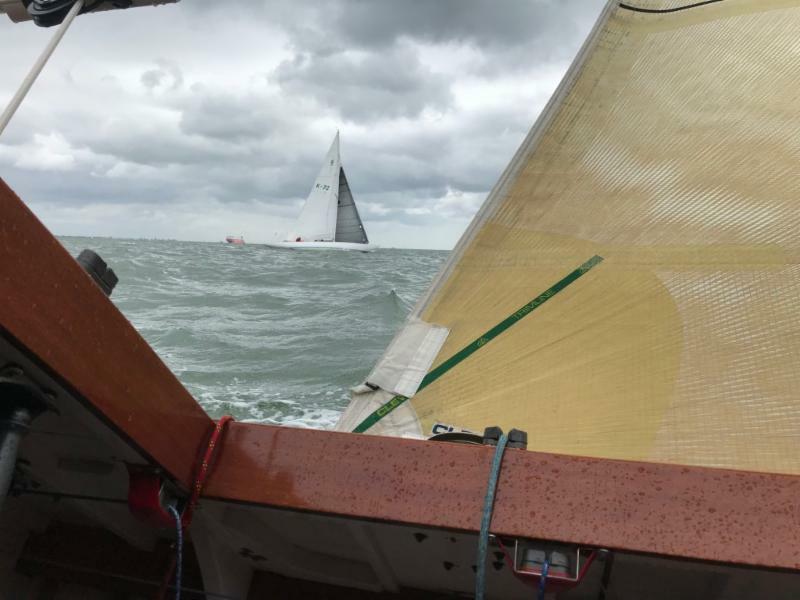 Valdai and Thistle went round the first weather mark and down the run almost neck and neck, but at the leeward mark Thistle's crew accidentally let go of the spinnaker halyard leaving it flailing in the wind. Fortunately they eventually managed to grab it as they closed the second windward mark. Valdai held off Thistle's multiple challenges in the second half of the race to take second. With the results from the two weekend's combined, British Open 6mR Champion and winner of the Dudley Head Trophy for the Classic Championship was Thistle by a single point from Valdai. Follow the links below to read the full reports and results. 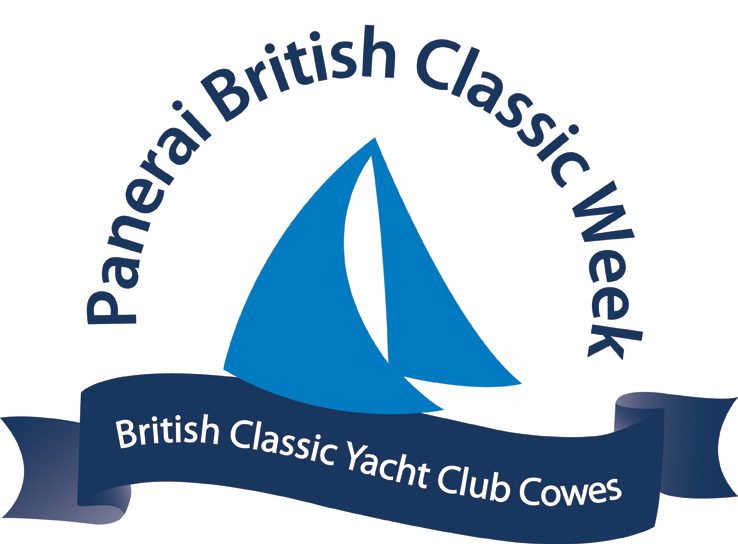 STOP PRESS - Panerai British Classic Week 2018 brought a week of champagne sailing for the six competing 6s. 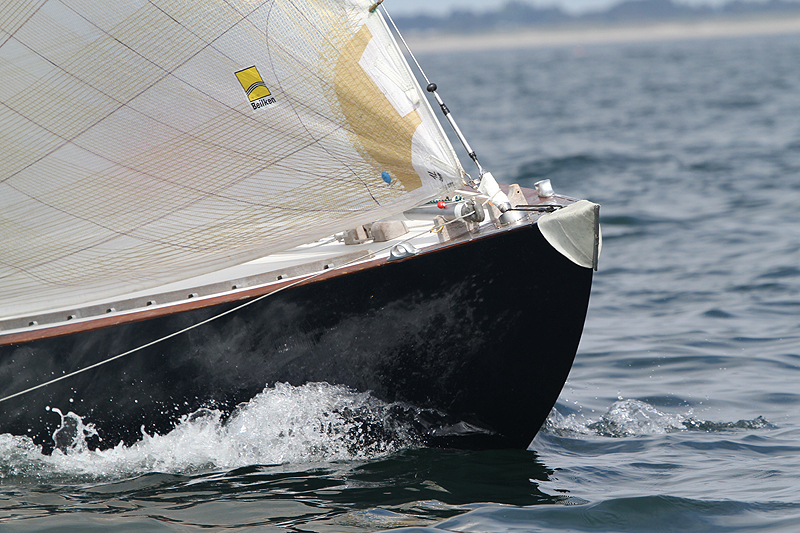 On the water St Kitts took straight victories, but Sioma was awarded the series as the leading Classic. St Kitts is in discussion with BCYC to request that her results are displayed although she is not challenging the awarding of the trophy. Full report, photos, video to follow shortly at www.6mr.org.uk. Sadly Bertie Bicket has decided to sell Scoundrel One. The boat is in immaculate condition and has not even been in the water since her last refit, so if you know of anyone who would like to get their hands on a highly competitive Modern this is a terrific opportunity. Click here for full specification and photos.